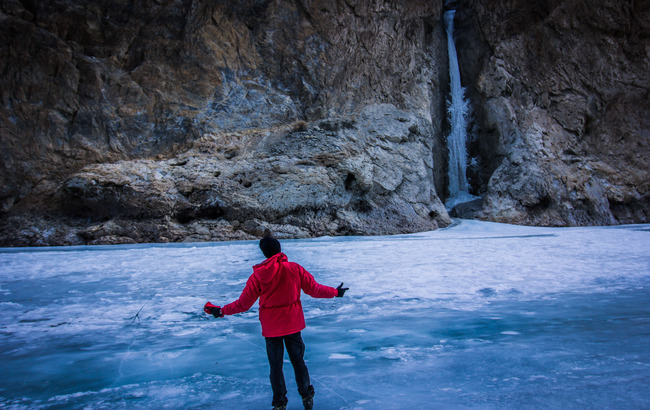 The very first reason to visit Ladakh in winters has to be the Chadar Trek. I truly realized the importance of T.S.Eliot’s lines when I happened to visit Ladakh this winter. Initially, a lot of people told me that my decision to visit Ladakh in winter was extremely impulsive due to its harsh weather and extreme cold temperature during that time. As soon as I reached the roof of the world, lying disconnected and aloof from the rest of the world, I knew that I didn’t make a wrong decision. 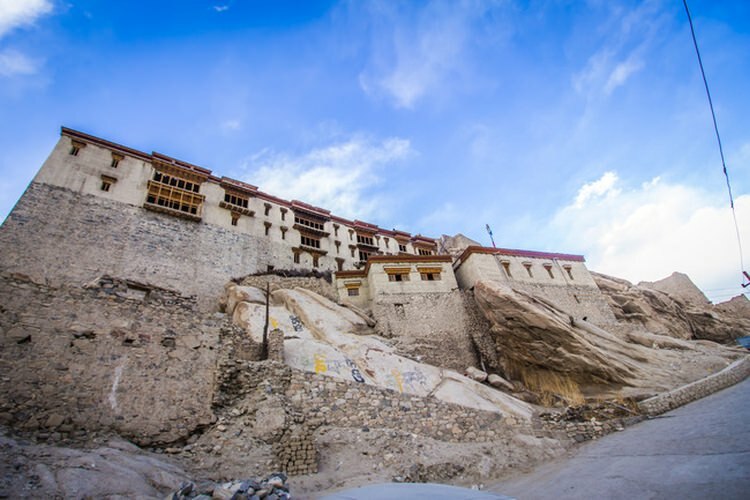 On the contrary to popular notions, Ladakh in winter will give you a host of reasons to visit despite the harshest condition. 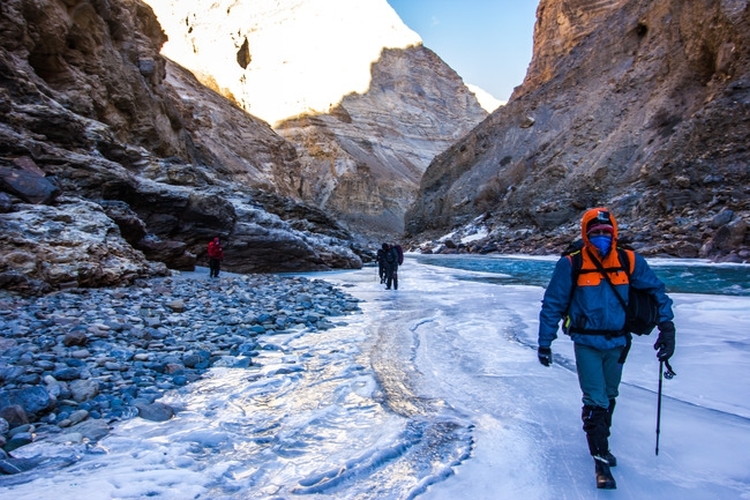 The main reason is definitely the famous ‘Chadar Trek’ which gives you a unique experience of walking on a frozen river. Moreover, you will be able to avoid the frenzy tourist crowds, approach the locals and spend quality time with them, for someone who loves shopping, everything is cheaper than the usual peak time and the list goes on. It’s undeniable that you will definitely miss few things which you can only avail in summer time but on the other hand there will be enough reasons to to ditch the tourist season. Here are few of those which will definitely going to tempt you to visit Ladakh in winter. 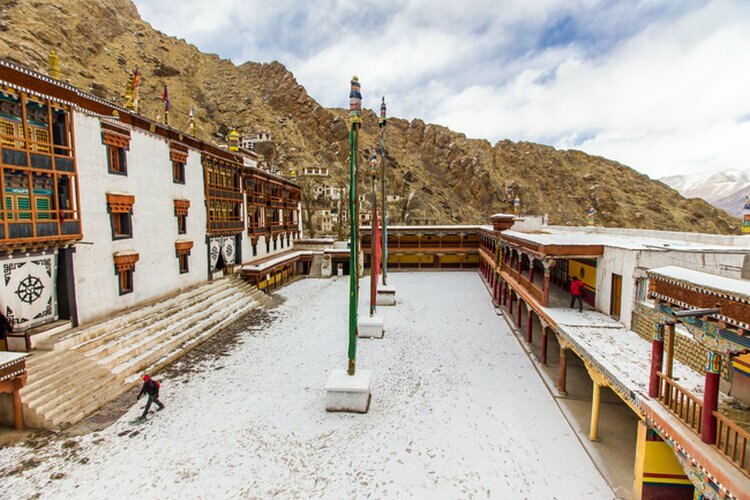 The unmatched beauty of Zanskar valley and the unique experience of walking, running and skating on the frozen Zanskar river make the trek one of the sought after treks in India. This is also considered to be one of the most difficult and demanding treks due to its harsh condition. 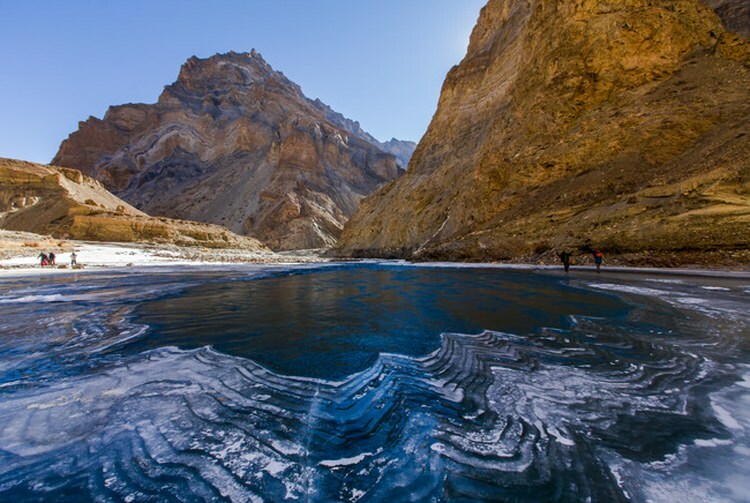 But if you are a seasoned trekker, Chadar trek is definitely a mind of experience you will definitely not want to miss. 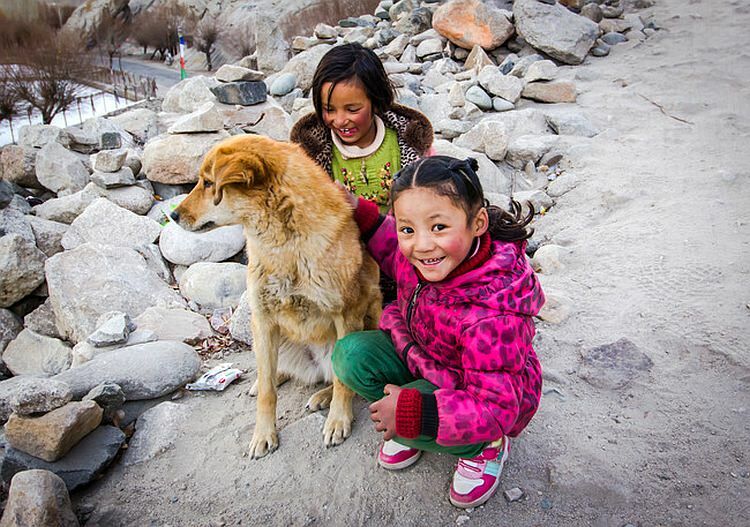 This is definitely the time when you can avoid the jostling bustling crowds of Leh. You can have a leisure walk down an almost empty Fort Road which is a distant dream during the peak tourist months and if you are lucky enough, you may wake up in the morning and find the town, covered with a blanket of snow. 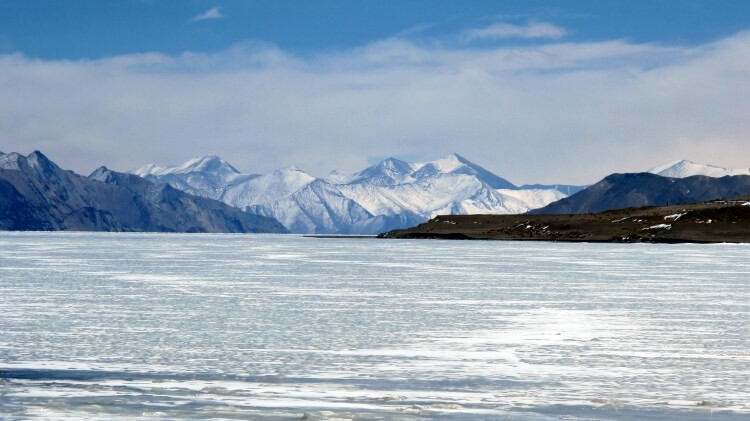 Pangong tso in summer is undeniably one of the most beautiful sights with sunlight falling on its briny water, the clouds playing hide and seek with the sun, creating different designs on the mountains. But if you go in winter, you will find the azure blue water of Pangong lake so frozen that you can even drive your car on it. Due to the less crowd, you can actually enjoy places like Khardungla, Pangong tso or Nubra Valley all by yourself, provided you are not very unlucky to find the roads shut down because of snow. Due to minus temperature throughout the day, all the lakes in this region remain frozen during this time of the year, making a perfect set up for an ice hockey match. 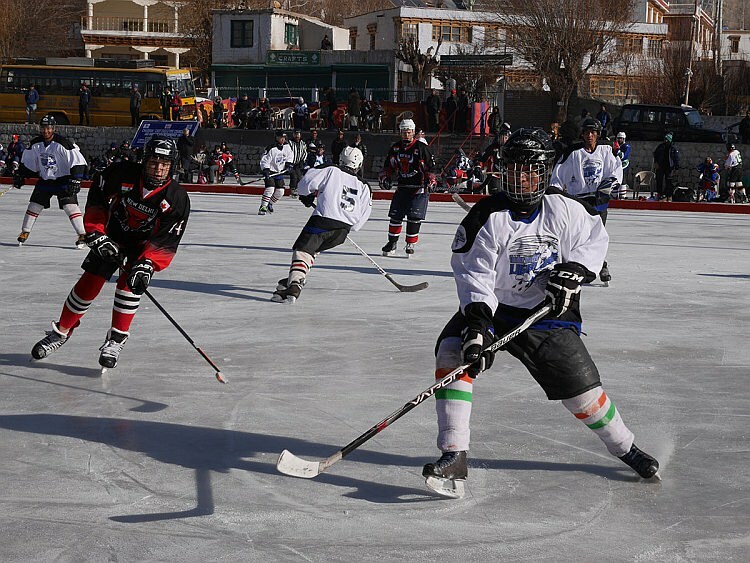 I even met two coaches from Canada who visit India every year in winter to coach the local ice hockey teams and they call India as their second home. 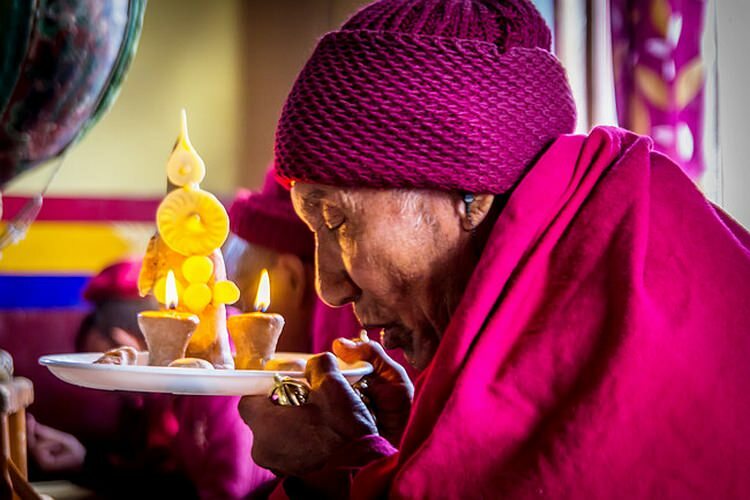 Thanks to the small crowd, you can literally walk all alone in silence inside Thiksey monastery, pray with the monks and if you are lucky you can even share a meal with them. 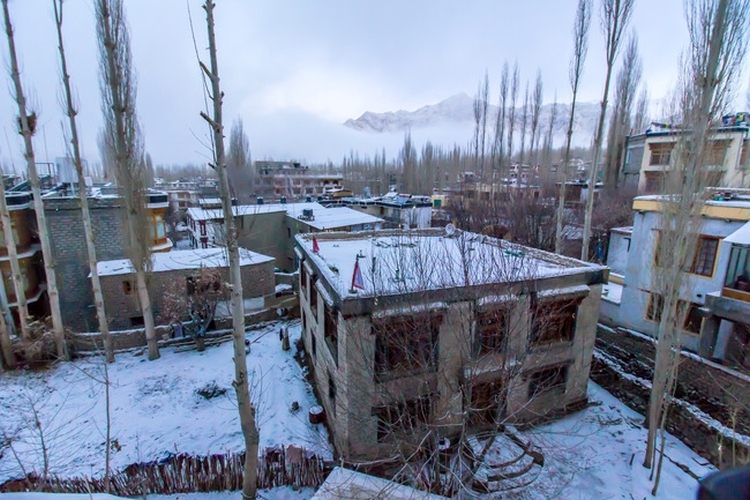 Most of the hotels in Ladakh remain closed in winter, so it’s a great chance for you to try the local homestays, taste local food and experience local culture. Since bathing is a luxury in Leh during winter, don’t worry about running water or a proper toilet rather be like a local and enjoy traditional Ladakhi mal – kawa, butter tea, thukpa, soups and you will be poised with so many options. Unlike the peak season, locals are free from work around this time and they can be very friendly and frank when you approach them. Winter is a celebration time in Ladakh and since most of the people are free from work during this time, they all get involved in those festivals. 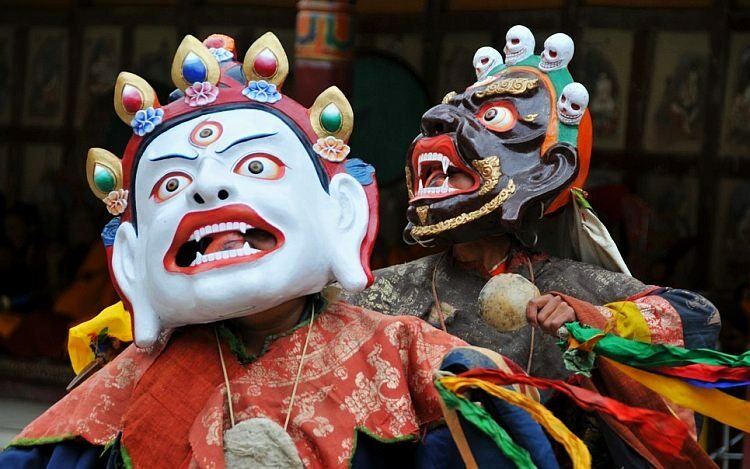 Some of the popular winter festivals in Ladakh are Ladakhi Losar, Spituk Gustor, Stok Monastery festival etc. These being less crowded with tourists are more enjoyable. 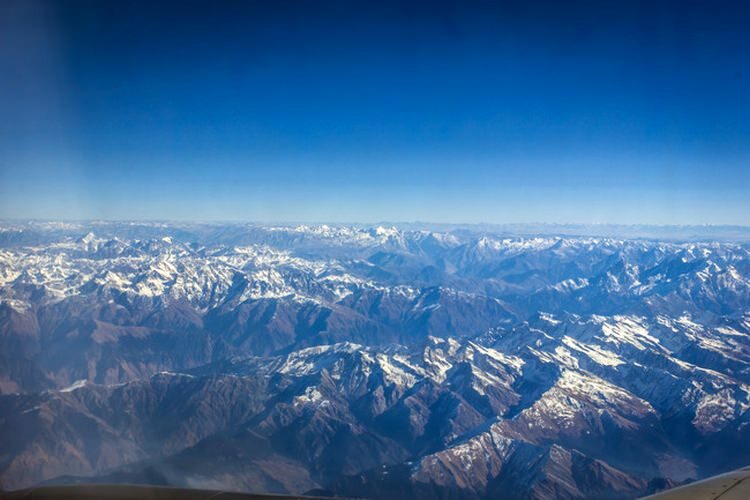 The only way to reach Ladakh in winter is by flights as all the roads leading there are closed during this time of the year and flights can be availed almost less than half price than the tourist season, if you plan early. Likewise, you can also get homestays with heater in a lot cheaper price. Shopping rates also get slashed during this season and gives you more flexibility to bargain. You can buy all the fake brands, almost looking like as good as the real ones from the Fort road market, Moti market and Tibetan market and thus you can save a lot of money. With frozen lake, frozen river, frozen waterfall,wilted trees, clear blue sky, snow covered mountains, Ladakh looks like a perfect backdrop of a fairy tale. In addition to its amazing landscapes, there are plenty of subjects like its culture, colourful people and festivals around this time for a photographer. If you can beat the cold and stay outside at night, you can capture some amazing shots and videos of start trail and milky way. 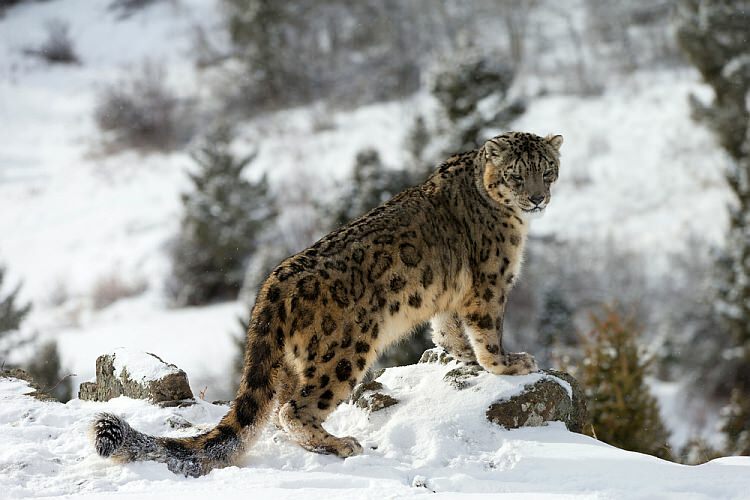 Due to the extreme cold in winter, a lot of Himalayan birds and animals come down to lower altitude and you can have sights of some very rare Himalayan species like blue sheep, mountain wolves, wild hare, magpies etc and who knows if you get lucky you may spot the Ghost of the mountains, i.e., snow leopard. I was able to see few of these rare Ladakhi wildlife while on Chadar trek, but my search for the ghost still continues. Why I travelled Ladakh in winter? The major reason of my travel to this region in winter was Chadar trek but I stretched my stay even after the trek and decided to explore Ladakh in its toughest condition. Being a traveller, I prefer travelling to places around such time when there’s less tourist crowd (tourist, please do not take any offence here) and thus I feel that I can connect to the place and its people more freely and deeply. The memories I make while travelling on a less travelled path are so rewarding sometimes that those make a permanent impression on my mind and these are the memories that I am going to carry till my last breath. So, next time you plan for ladakh, do consider the winter time also.